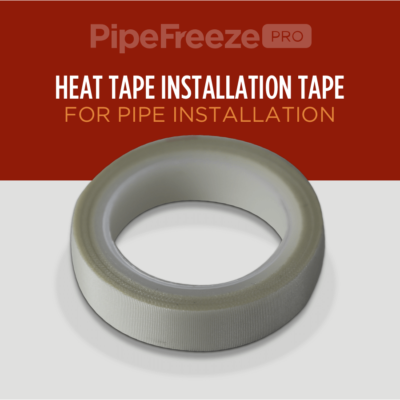 Prevent frozen pipes with the best pipe-trace heat tape on the market, packaged in this convenient kit. 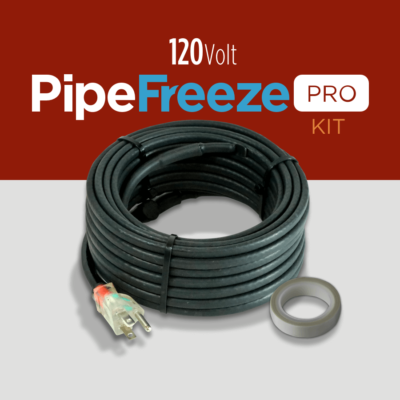 Our Pipe Freeze Kit includes a designated length of Pipe Freeze Pro Self-regulating heat tape (cable), a roll of fiberglass heat-resistant installation tape and our quick-guide set up and installation manual. Can I use Pipe Freeze Pro to Prevent My Pipes from Freezing? Pipe Freeze Pro can be used to prevent pipe freezing on almost all types of plumbing pipe. Different applications and installation techniques will depend on the material, the diameter of the pipe, and the ambient temperature of the environment of which the pipe resides. Refer to our instruction manual for the best practices for your pipe freeze prevention project.